An abridged version of this article appeared on The Straits Times’ Communities website. View it here. Okay y’all, it’s time for a selfie intervention. Since Instagram and front-facing cameras launched, the selfie phenomenon has exploded into the mainstream faster than you can say “Cheese”. Even our Members of Parliament and gasp, the Prime Minister are on it. However, there comes a time when trends and fads become so mainstream that the other segment of society gets attracted: late-bloomers who join in with fads but have absolutely no idea what they are doing. For example, people at the tail end of a queue, shoppers who wait for the last week of the Great Singapore Sale, Facebook users who still have “Aiieeqah Lovezxcyou” as their Facebook name — you get my drift. Since we don’t discriminate here at Popspoken (except when you fail at twerking), we’re here to help. Obvs. We’ve compiled the top 10 tips those just in-the-know need to know about the art of preening before a camera. Also, we’ve interspersed them with selfies from people we love who are doing it right. Watch and learn. Tyra didn’t preach this for nothing. Use your eyes and smile with them. The art of smizing is bringing life to a photo with your eyes. Stare dead-on at the camera lens and connect with it. Don’t do the lazy eyes or let your vision go astray. Whether it be a side-eye, pouty look or an intense gaze, use your eyes to tell how you are feeling. That selfie will definitely be more visceral. 2) Take many, choose one. Don’t just settle for one, photo. Models do may shots of one take for the exact same purpose: play around with the shot. Try different poses, do different things, find different backgrounds. Once you have compiled a good amount of photos, it is much easier to compare and choose the best one. Top models will have you know that angles can dramatically change how someone looks. Have a strong cheekbone? Don’t opt for a front-facing pose. Go for a side profile with the camera below your chest facing upwards to reveal your bone structure. Top-down photos may look better than bottom-up photos, but don’t overdo it — stratospheric heights are only reserved for xiaomeimeis and minahs. The optimal shot is just at your forehead level so you can still retain a decent line of sight. What works for each person is different, so experiment: find your good side and show it off in your photos. Most selfies don’t get likes because we can’t see its subject. Lighting can make all the difference between a gorgeous selfie and one that is fuzzy. If you really want to go for gold, three-point lighting is what professionals use to light up shots and what you can use too. Find a direct light source that hits your full face. If you can only find a light source that hits three-quarters of your face, look for another light source or reflective source that can fill up the unlighted parts of your face. A mini reflector (those round things that production crews use) can help solve this issue but you can always be creative. Back lighting is great for added drama to create a halo effect, but only use this when a light source is directly behind you and you have front lighting. If not, strong back light or side light may cancel out your face and leave pictures looking fuzzy. It’s a selfie for a reason: frame your face well. Make sure all of it is shown — yes, including your ears and hair — and maybe even show your neck and a hint of shoulder. Anything further than that and it looks a tad too far; anything nearer than that and you are basically Frankenstein. If your breath is fogging up the screen, time to push that camera a bit further away from your face. I might want to see your zits because I’m ’bout dat realz lyf, but if the contrast isn’t right, edit that photo befor you upload it. If Instagram’s in-built editing tools aren’t as satisfactory, external apps provide more tools and give users more control over how they want their pictures to look. While some may swear by Aviary, I still pick Snapseed as my go-to app. After correcting contrast and colour, its various tools give your photo more dimension and pop. A neat trick that I do is adding the Drama filter that highlights shadows and light gradients before using Center Focus not to blur my photo, but to decrease outer brightness for a gorgeous halo effect. Also, apps like Pixlr-o-matic help you add details to your shot and make collages out of a collection of three spliced selfie shots. Just don’t overdo it with the stickers and quotes, unless you want to audition for the next slot in AKB48. In which case, we totally don’t judge. Pinkie swear. Oh, god. We can go on forever about this. So many Instagrammers run foul of this, thinking that we don’t know Thy Desperate Self is fishing for likes and an instant boost of confidence. Don’t, I repeat, don’t even think of adding those apps that add stock hashtags lest you wnat to be known as that over-hashtagger on Instagram. Even if you HAVE to fish for likes (we get it, it’s a dependency thing), lesser than 10 hashtags will do. Related hashtags like #selfie and #shotofmyfineashellface are a better narrative than non-important words like #me (seriously?!) and #tagsforlikes. Once you reach a satisfactory number of likes commensurate to your number of followers, delete those damn tags and burn them in the deepest trenches of Criss Angel’s hell. Neither is posting a selfie a free ticket to go all Shakespearean on me. “Looking into my eyes, I find the elixir of life” will probably make someone on the other end hurl and cringe and call for mama’s help. Wit always helps: something like “I think my right eye is bigger today, but maybe it’s the hangover talking” adds some self-deprecating humour that shows you don’t take yourself too seriously. Point being: don’t talk about the selfie. Just reference it subtly. What’s the point of taking selfies if you’re not displaying them? Since you’re already doing it, might as well go all the way. Put one as your wallpaper, constantly change your profile pictures, create themed collages — you can pretty much do anything with it. Heck, why not print them out for keepsake purposes? 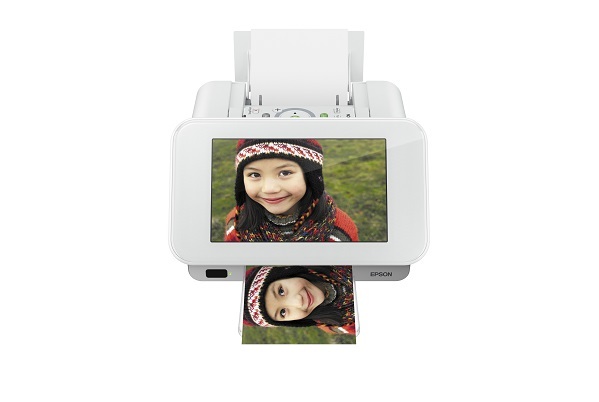 Something like the Epson PictureMate PM310 can preserve your photos should you run out of memory but want to keep your precious works of art. Give them to friends or even your loved ones: remind them that you still look fabulous and they better drink whatever you’re drinking. Sure, you LOVE and ADORE your gorgeous face by your myriad of selfies. Who can blame you? Gotta work what God gave you, right? If someone takes a cursory scroll down your Instagram page and 85% of it is made up of selfies, then you probably need to ease it up, pretty face. Add other photos of different things: friends, food, scenery or anything else that shows another side of who you are. It makes your page more than just a one-hit wonder. Unless you totally want to be honest with your narcissitic self. In which case, by all means: make every Instagram a selfie. We’ll worship at your #tagsforlikes temple. Prev post Judee Tan: “The Noose Is Coming Back For Season 7” Next post So… Am I Onboard the Starlight Express?